On one hand, I believe one can always find a piece of nature to enjoy, even in a large metropolitan area such as New York City. I’ve traveled enough for business to places I’d otherwise never visit and always manage to sniff out decent options for trail runs, bike rides, paddles, swimming, etc., based on the local geography. Those green breaks are a welcome respite from too many meetings and too many people. It is a pleasant surprise to discover outdoor space in densely populated areas. On the other hand however, there are clearly places in the world that feel better than other places. 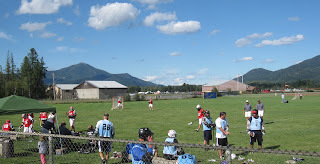 I am fortunate to live in one such space: Lake Placid, in the heart of the Adirondacks of upstate New York. I just returned home from a delightful but brief visit to family and friends who live in another ‘feel good’ part of the world, down the shore. Sea air, sunshine, and playing in the ocean are as good a medicine as powder skiing, each in its own time. Regular readers of Adirondack Lifestyle will recognize this lead to my Adirondack Lifestyle Wellness Theory (ALWT) which holds spending time outdoors is good for people. You can take my word for it; I didn’t get to be an outdoor recreation expert by not paying attention. It is fun to do things outdoors. Or, lacking blind faith in a total stranger, you can follow the links in my blog posts to the multitude of scientific reports that support the idea it is good to spend time outside! As you can see in today’s featured photos, the Adirondacks are a great place to do just that. 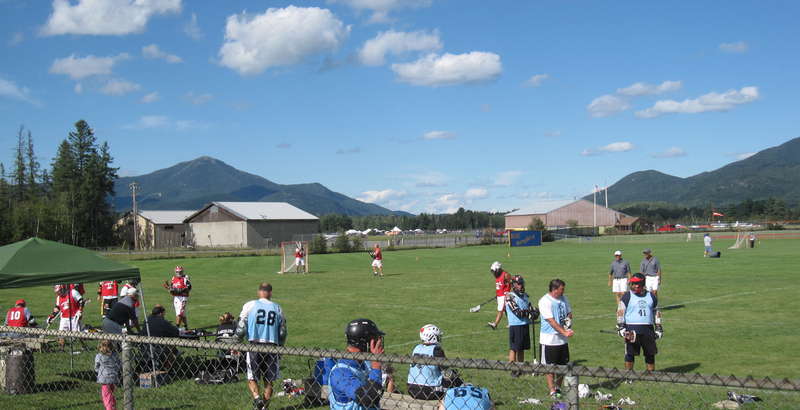 The Lake Placid Summit Lacrosse Tournament is in town for the weekend and the athletes seem to be enjoying playing outdoors in the shadow of Whiteface Mountain and the Sentinel Range.